A LOT OF YOU ARE ASKING ME WHAT ARE SOME OF THE THINGS THAT ARE MY "FAVORITE THINGS". SO, LET'S START WITH SOME BASICS. SKIN CARE IS ALWAYS A GOOD PLACE TO START AND IT IS EVER CHANGING FOR ME. BEFORE I WAS A REGISTERED NURSE, I WAS A NATUROPATHIC NUTRITIONIST WITH A STRONG BACKGROUND IN PHYTO-PHARMACOLOGY. WHAT THAT MEANS IS I HAVE AN EXTENSIVE BACKGROUND IN NATURAL HEALING AND HEALTH. I HAVE ALWAYS, ALWAYS BEEN A PROPONENT OF PROBIOTICS AND IT'S RELATIONSHIP TO GOOD HEALTH ON THE INSIDE AND ON THE OUTSIDE OF YOUR BODY. AND FOR YEARS I MADE A LOT OF WHAT I USE ON MY SKIN IN MY KITCHEN. I STILL DO USE A LOT OF THINGS THAT I MAKE AT HOME. I WILL SHARE THAT AT ANOTHER TIME. OKAY... LET'S START WITH MY FAVORITE GROCERY STORE. WE LIVE NEAR A TRADER JOE'S WHICH IS CONVENIENT FOR ME. IF WE DIDN'T HAVE ONE CLOSE TO US, I WOULD BE DRIVING TO WHERE EVER THERE WAS ONE. SOME OF MY FAVORITE THINGS COME FROM TRADER JOE'S. SO, LETS START WITH THEIR LAVENDER AND SALT SCRUB. I BUY THIS OVER AND OVER AGAIN. I KEEP IT IN MY BATHROOMS BESIDE THE SINK AND I USE IT ALL OF THE TIME. I USE TO LOVE IT WHEN WE VISITED THE COAST AND THE BATHROOMS AT ALL OF THE RESTAURANTS ALWAYS HAD SALT SCRUB AT THE SINKS. I FOLLOW SUIT AND I LOVE IT. I USE A SCRUB THAT I MAKE AT NIGHT WHEN I BATHE, BUT IN THE MORNINGS, I ALWAYS USE THIS SCRUB ON MY HANDS AND ON MY LIPS BEFORE I START MY DAY. I'T IS A GREAT PRODUCT. ANOTHER LOVE OF MINE FROM TRADER JOE'S IS THEIR GOAT MILK AND CAMEL MILK SOAPS WITH OLIVE OIL AND HONEY. I DON'T LIKE THINGS THAT DESTROY THE ACID MANTEL OF THE SKIN. THAT IS THE BARRIER THAT PROTECTS THE SKIN AND KEEPS IT HEALTHY. THIS SOAP IS GENTLE AND IT DOESN'T LATHER MUCH AT ALL. I LOVE THE WAY MY SKIN FEELS AFTER I USE IT. I DON'T GET OUT OF THE BATHTUB FEELING LIKE I NEED TO RINSE OF A SOAP RESIDUE. I THINK YOU WILL FIND THAT YOU LOVE IT TOO. IT IS ALSO A SOAP THAT I WILL USE IF I PUT A GIFT BASKET OF GOODIES TOGETHER FOR A FRIEND. GOOD STUFF! HONEY.... IS GOOD FOR SO MANY THINGS. I HAVE USED HONEY MEDICINALLY FOR YEARS. I HAVE USED IT IN HOME MADE COSMETICS FOR YEARS. THERE ARE SO MANY GOOD USES FOR HONEY, BUT ONE OF THE MOST MEDICINAL OF ALL OF THE HONEYS IS MANUKA HONEY. Manuka honey is produced in New Zealand by bees that pollinate the native Manuka bush. Similar situation with the Malaeuca Alternafolia Tree in Australia and the oil that is extracted form that tree. Extremely medicinal a=in a number of powerful ways. Advocates for Manuka Honey say it treats wound infections and other conditions. Manuka honey protects against damage caused by bacteria. It also stimulates production of special cells that can repair tissue damaged by infection. I have been using the raw Manuka Honey for quite sometime. It is quite a bit more expensive than other honeys. A friend recently introduced me to MEDIHONEY. This product is 80% Manuka Honey. The other 20% are natural ingredients that make it into a gel for medicinal uses. There a a large number of wound clinics and diabetic treatment facilities that are now using this product. It has a property that increases a natural debridement within a wound, protects the wound and aids in healing. I use it on all sorts of things. When my daughter was pregnant, I saw an ad for The Honest Company. I signed up to receive a sample box of some of the product. All of the products were good, but one stood out to me and I find myself re-ordering it time and time again. 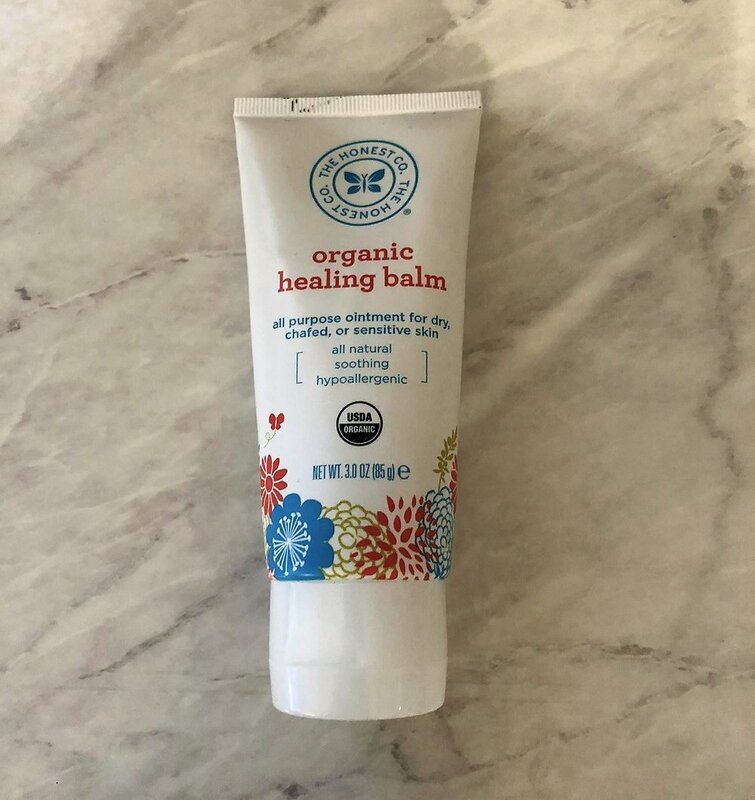 It is their Organic Healing Balm. I LOVE THIS STUFF! I order 2 tubes at a time and there is a tube within my reach pretty much all of the time. Each tube is 3 ounces. It moisturizes and soothes sensitive and dry skin. It contains sunflower, olive, coconut oils, and shea butter. All of the Honest Company's products are: ultra gentle and safe for infants, children, and adults. they are hypoallergenic, certified organic, and vegetarian. When you disperse this ointment or balm onto your hand, you amy feel a bit of "grit". That is because coconut oil solidifies at room temperature. You will find that just by rubbing it together between your fingers, it readily emulsifies and becomes an oil that goes on smooth. I don't care what moisturizer I put on at night... before i lay down for sleep, I put this all around my eyes and over my lips. I use it on my hands, elbows, feet, face. I just use it everywhere. LOVE LOVE LOVE!!! Just a notations of correction. In my video you will hear me say this has "Calendula, which is Camomille" My intent was to say that it has Calendula which is "like" Chamomille.... in that it has anti-inflammatory properties! Sorry... I get carried away! But when it comes to "what do I purchase"... It's Avalon Organics with Lavender and PreBiotics. I buy and use their cleanser, toner, Vitamin C defense eye cream, their daytime and nighttime moisturizers. I have used these for quite some time now. I like them because they have good natural ingredients. I have always touted the benefits of pre and pro biotics for over 30 years. So it only makes sense that I use it. Like I have said before, I don't like anything that has lathering agents, so if you don't feel like your are cleansing without the lather, you won't like this.... I DO! SO... I'm keeping one of my All Time Favorites for last! Twin Laboratories: Na-PCA: (Sodium pyrrolidone carboxylic acid). I have used this for over 30 years. I studied this product extensively years ago. 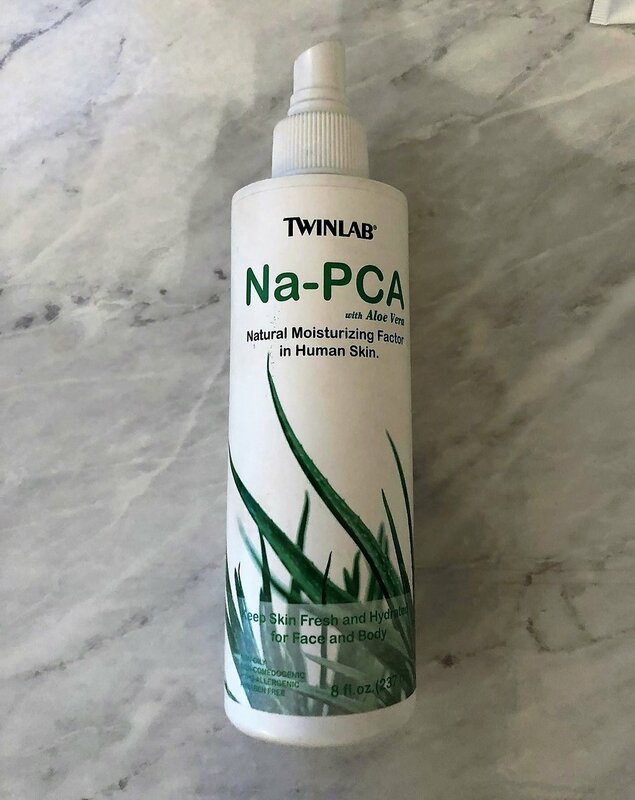 Na-PCA is a natural substance in your own skin that draws H2O into your cells. I once read a study on it that said if you put pure Na-PCA into a bowl and set it in a humid environment that it would fill the bowl with water. I love this stuff. In the summer time I keep a bottle in the refrigerator. when I come in from the hot outdoors, i reach in the fridge and start spritzing my face, arms... whatever needs refreshing. It Is Awesome! I will NEVER be without it! So... There you have it. Part one of my favorite things. These products listed are what I use a lot of. They are things I order and re-order. could I live without them... sure, but I just don't want to. I think for 62 years of age, I am holding up quite well, and these types of products are a lot of the reason why. I hope that you enjoy some of them, too!